“Dere’s no guy living dat knows Brooklyn t’roo and t’roo,” penned Thomas Wolfe in his 1935 short story Only The Dead Know Brooklyn. “Yuh ain’t gonna get to know Brooklyn wit no map.” Is it possible to truly know Brooklyn? Well, you can’t stop us from trying! Mapping Brooklyn invites you to get to know the borough – and your neighbors – a little better. This free event will take you on a journey through Brooklyn with true stories about growing up in, exploring, and (re)defining the borough and its changing terrain, from Park Slope to Bed Stuy. The program will begin with a dramatic reading of the classic Only The Dead Know Brooklyn by performance artist Annie Lanzillotto. 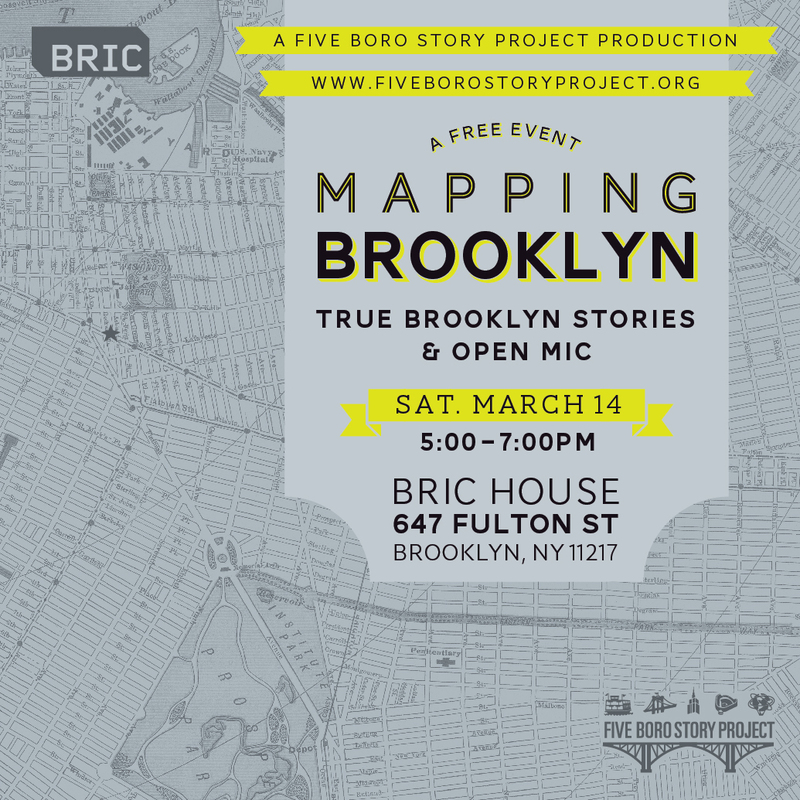 Master storytellers Michele Carlo, Renee Gregory, Mark Pagán, Tom Rigney, and Betty Yu will recount personal neighborhood tales about mapping their Brooklyn territories. 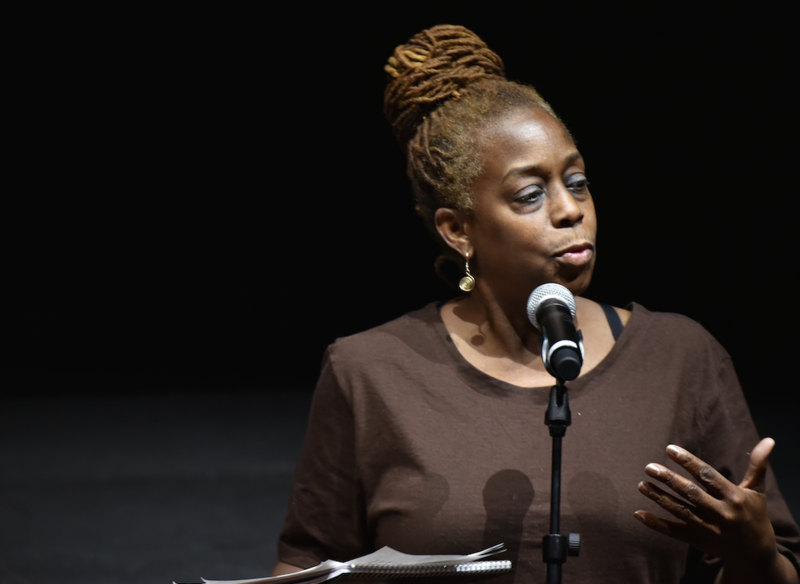 Following the performances, share your own Brooklyn anecdotes, memories, poems, and more in our open mic. This is a FREE event in the BRIC House Ballroom. Mapping Brooklyn is part of BRIC’s Saturday House Party and complements the Mapping Brooklyn exhibit, which juxtaposes the work of contemporary artists working with maps and cartography alongside actual historic maps from the Brooklyn Historical Society’s collection. BRIC House is located at 647 Fulton Street (entrance on Rockwell Place) in the heart of the Downtown Brooklyn Cultural District, and is easily reached by subway or railroad: G to Fulton; C to Lafayette; 2/3/4/5 to Nevins St.; B/Q/R to Dekalb; Steps from Atlantic Terminal and the LIRR. View “Mapping Brooklyn” photos HERE.